Are you in the mood to experience a real Mexican cityone that doesn’t revolve around tourism? If so, a visit to La Paz is in order. The capital of Baja California Sur, La Paz is a thoroughly enchanting city. Its heart and soul lie in its malecónan oceanfront promenade that stretches over three miles along the edge of a deepwater bayfrom the original La Paz Marina on the southwest to La Concha Resort on the north. “Discovered” by Cortés in 1535, the city didn’t become a permanent Spanish colony until 1811. Its rich oyster beds lured fortune seekers in the early days, and its deep harbor was a haven for Spanish galleons. Pirates like Sir Frances Drake hid out in its coves, waiting for the opportunity to pillage and plunder. So, let’s visit! After all, it’s only two hours away. Toss your overnight bag into the rental car and head north on Highway 19. Halfway there, you’ll pass through the magical town of Todos Santosworth a day trip for sure. When you get into La Paz, turn left at McDonald’s onto 5 de Febrero. Follow it down to the Pemex gas station and make a right onto Topete, which becomes Obregon once you reach the malecón. Prepare to have your breath taken away. Park and stroll, or check into a hotel along the malecón. There are several lovely ones to choose from: El Arco, La Perla and El Moro are sure bets. Grab a city map when you check in. You’ll need it for your tour. Today you’re doing the beaches; tomorrow it will be the city. Go La Paz - Baja California Sur, Mexico - La Paz, the capital of the State of Baja California Sur, is a very beautiful place, full of contrasts on its landscapes, with its desert, naturally decorated with cactus and beautiful beaches, separates the land from the sea, in a slant of color that impacts the pupil, creating a post card panorama that you will enjoy. Playa de La Paz Phase 1 is comprised of 24 Residences within a private compound directly facing the Sea of Cortez. Each is a distinct and exquisite architectural gem, and the entire development offers the finest amenities and advanced technologies. 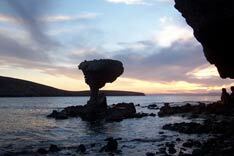 Pure La Paz - Baja California Sur, Mexico - The Official Interactive Travel Guide for the La Paz Tourism Board. Escape to La Paz, Mexico. Stroll along the waterfront and enjoy a romantic sunset. Indulge in delicious local cuisine and dance until the wee hours. Explore historic museums or shop for authentic Mexican arts and crafts. Experience legendary sportfishing for marlin, wahoo, tuna, dorado and more. Take a right, and head out of town along the coast. You’ll pass Marina Palmira, La Concha Beach Resort before reaching Marina Costa Bajawith its new, upscale marina, lovely Fiesta Inn, condos, restaurants and shops. Pull in, park and take a look around. If you’re hungry, choose a restaurant and enjoy lunch while admiring the yachts and the swooping pelicans. Afterward, continue north past the Pemex plant to Pichinlingue. This busy port is where ferries from Mazatlán and Topolobampo dock, carrying a few tourists, but mostly semis bringing goods from the mainland to the rapidly growing state of Baja Sur. There are lovely beaches all along the road to La Balandra, where you’ll turn left and pull into the parking lot. La Balandra is a famous natural monument shaped like a mushroom with a very skinny stem. It has been knocked off its precarious perch by storms more than once, and has been painstakingly restored and shored up in recent years. To find it, you have to walk around the corner to your right and then along a pristine, deserted beach. At the end of this beach is the mushroom. Swim, take photos, and have a brief siesta before hitting the road again for your destinationjust a minute away. Tecolote Beach is a local favorite. Facing north toward Holy Spirit Island (Isla Espíritu Santo), the beach is long, wide, with spunsugar sand and warm, jade green water, framed by jagged mountains. There are four restaurants there, but our favorite is Palapa Azul. Order a meal or a snack. The seafood is the freshest, the menu extensive and the margaritas delicious. Palapa Azul rents kayaks, jet skis and offers tours to the island, where you can fish and even snorkel with sea lions. Had enough beach time? Drive back into the city and prepare for the evening. A sunset stroll along the malecón is mandatory, and your destination is a gourmet restaurant with the best view in La Paz. It’s El Patrón, and it will delight you. After dinner, a visit to the Tequila Bar and Grill for a nightcapor for some serious night clubbingis in order. Here you’ll find an eclectic crowd of local Mexicans and Americans, along with a few fortunate tourists. As the evening progresses, so does the actionhere and in every other nightclub along the malecón. Next morning, it’s time to explore the city. Your first stop is Ibarra’s Pottery, a familyowned operation that produces some of the most exquisite, colorful, handpainted pottery you will find in México. After that, drive a few blocks to the Regional Museum of Anthropology and History (Museo Regional de Antropología e Historia), where you’ll view exhibits showing Baja California Sur from prehistoric to missionary to colonial and recent times. A few blocks away is the Our Lady of Peace Cathedral (Catedral de Nuestra Señora de La Paz). Built from 1861 to 1865, it is the city’s spiritual center. Across the street is the main town plaza, founded in 1876 and named Jardín Velasco after the then mayor. La Paz is famous for its ice cream, so this is your chance to enjoy some on a bench under a shade tree admiring the gardens, the church and the fountain depicting La Balandra. Just behind you is the former government house and the city theater and art gallery definitely worth checking out. Our last official stop is the Mercado Municipal Madero, just a few blocks to the south. You’ll know you’re close when you see people loaded down with bags of goodieseverything from fresh fruits, vegetables, meat and fish to clothing, watches and CDs. This is a colorful, lively place with friendly vendors. From this point on you are free to wander about. There are shops to explore, restaurants to peer into and, of course, the malecón beckons. The Casa del Artesano is the best place to shop for local arts and crafts, and the prices are much less than in Cabo. Enjoy one last stroll, with perhaps lunch at Kiwi right on the water before you head south. Spanish Conquistador Hernan Cortez first settled La Paz in 1535. Tales of gold, silver, pearls and a legendary tribe of exotic Amazon women had lured the adventurer to the area. Logistics (food, water, etc.) caused the settlements demise in a few short years. In 1720 Jesuits established a more permanent settlement but disease, logistics and Indian revolts ended the mission within 30 years. Historical records note the Indian men complained the Spanish soldiers took most of the Indian women leaving them without enough to go around, resented the churches prohibition on polygamy, and objected to being required to wear clothes. Today the city of approximately 250,000 boasts one of the highest per capita incomes in the country, and the highest levels of education of any city in the country. Money Magazine and CNN consider it to be one of the best places for retirement given its ambience, low cost of living, modern health services and wealth of recreational opportunities. The town is a two-hour drive north from Cabo and makes a nice long day trip or over-night excursion. The towns surrounding bays were once lairs for pirates that awaited the treasure laden Spanish galleons returning from the Far East. In 1964 a buried treasure was unearthed during a road excavation just outside of town in a cove now known as El Tesoro (the treasure) beach. La Paz attracts eco-minded tourists who appreciate the many natural activities offered including: World-class scuba diving, ocean kayaking, exploring nearby islands, yacht charters, cave paintings, desert bio-sphere reserves, windsurfing in Las Ventanas, two civic theaters, a spectacular two-mile long waterfront malacon (boardwalk) laden with sculptures, and an archaeological museum. The annual Carnival attracts thousands before Ash Wednesday along with Baja 1,000 race events and fishing derbies. The town has 3 marine universities and one of the highest concentrations of marine life experts to be found anywhere. John Steinbeck described the town in his book “Log From The Sea of Cortez.” The book was written about a 1940 expedition he and Ed Ricketts a Monterey California marine biologist undertook aboard a trawler to collect marine life specimens. Steinbeck noted the overall peace and tranquility of La Paz back then, and little has changed since despite condos and marinas being built, and completion of a new shopping mall on the outskirts of town. The Pearl, a later book by Steinbeck set in La Paz, was about a giant pearl found by an Indian woman. The pearl eventually caused grief for all who came into contact with it. Pearls, nearby silver mines, agriculture, State government and now eco-tourism are the port town’s economic mainstays. - July 2008 - David Mandich.